Conversation Views – Make sense of email threads through chronological message views. Better Organization – Tabs, Topics, and To-Dos help you stay organized with less effort. Works Great with OS X – Postbox integrates with the Address Book, iCal, iPhoto, Spotlight, and Quick Look. Postbox even works with OmniFocus and Things! Quick and Easy Setup – Postbox will automatically determine your connection settings for you! Postbox is available in English, German, French, Spanish (Spain), English (British), Italian, Dutch, Portuguese (Brazilian), Russian, and Swedish. Mail Pilot 3.0 (4387) – Task-oriented email client. 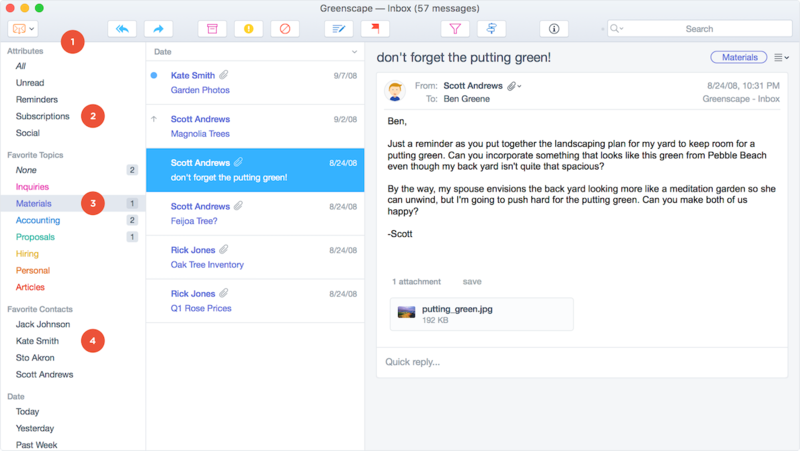 Mailplane 3.0.3 – Bring Gmail to your Mac desktop.